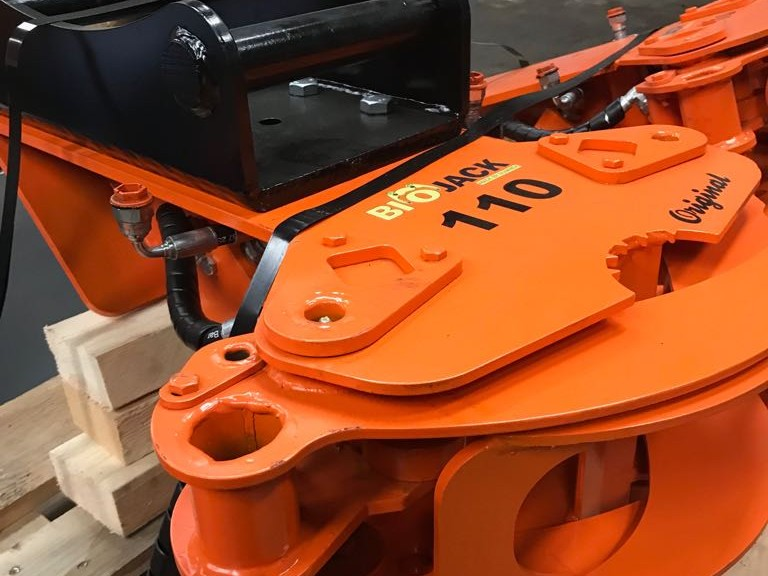 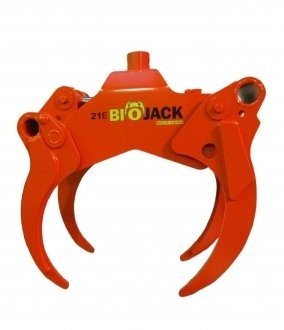 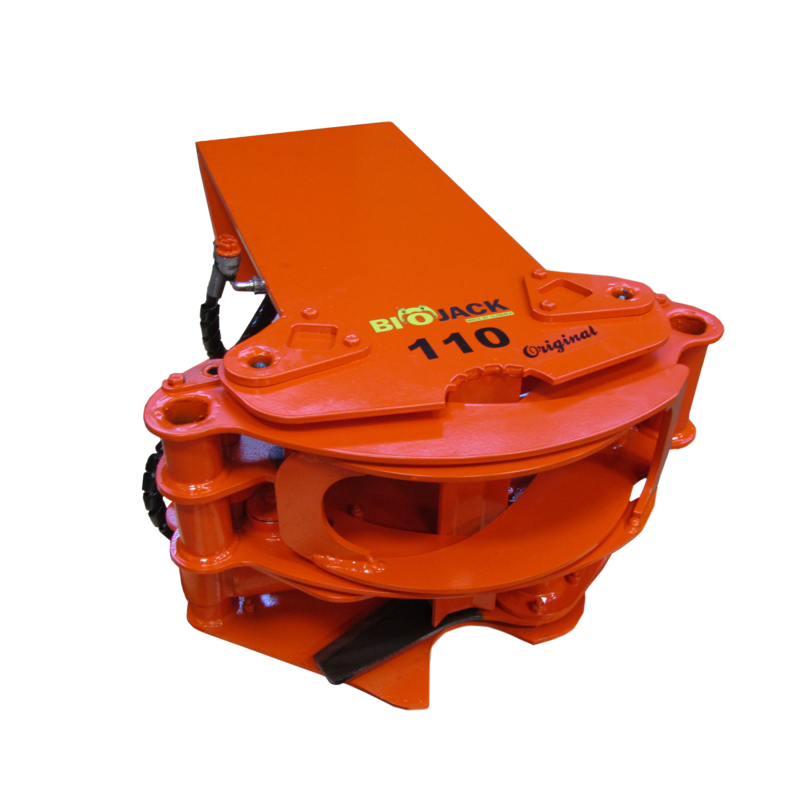 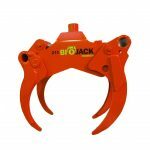 The Biojack 110 energy wood grapple has powerful cutting capacity for a device of its size. 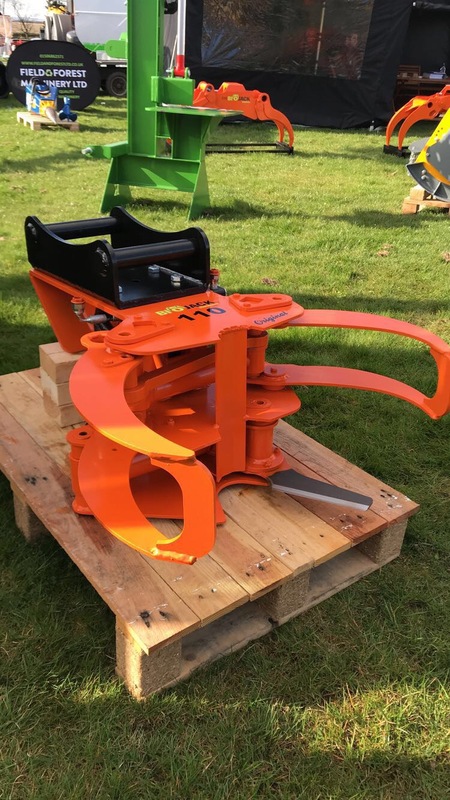 It is perfectly suited for harvesting low-grade timber and energy wood, and is a nifty tool, for instance, for clearing fields and roadsides. 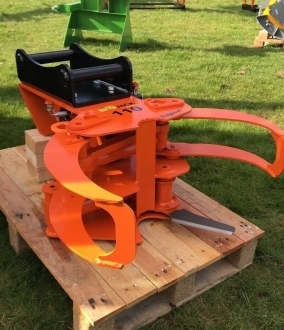 Due to the moving blade, this farmers’ favourite can be used easily for both felling and loading, without any special measures. 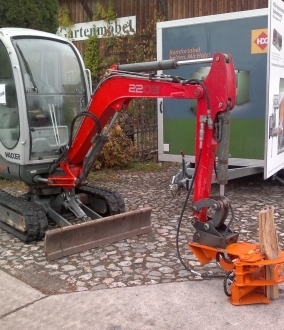 There is no need to remove the blade for loading; in the loading position it is securely stowed away inside the frame. 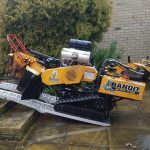 Installation is easy and swift; no additional hydraulics is required, other than a pressure and a return hose. 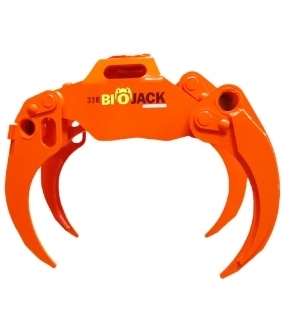 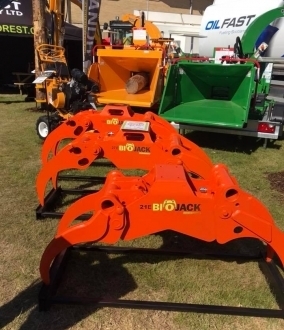 The technical features of this Biojack grapple ensure that stumps are cut low and that the cutting result is smooth.